Get free tickets to the National Self Build & Renovation Show taking place on the 11th – 13th May at the National Self Build and Renovation Centre in Swindon. The Vision AGI team will be available at our permanent stand throughout the show to answer your questions! Read on for the link to free tickets. 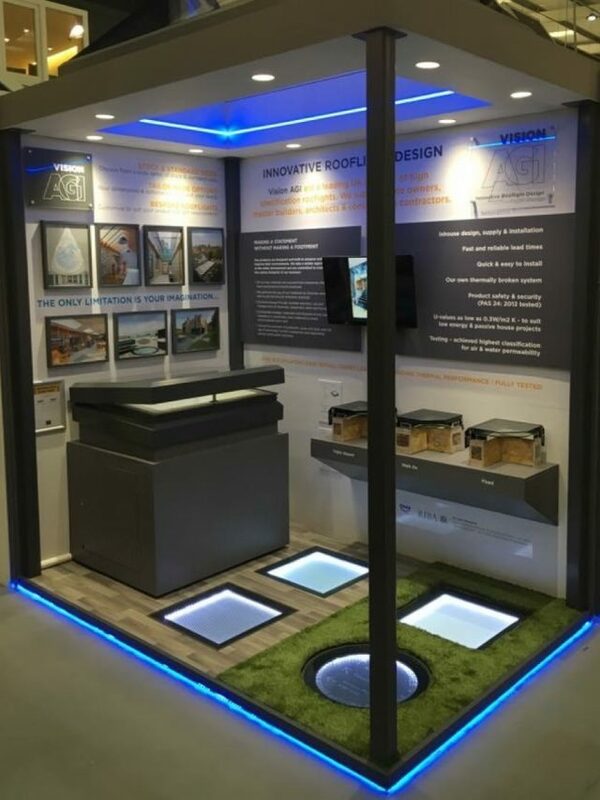 Vision AGI have a permanent stand at the nSBRC giving you the opportunity to view our rooflight profiles up close and find out more about the construction and the various colour and glazing options available. During the show, our team will be on hand to offer expert advice and to answer any questions you may have regarding our rooflights. We can help guide you to the perfect rooflights for your self-build or home renovation project along with amazing ideas for structural glass work to make your project truly stunning. You can save £12 on the door price by signing up for FREE TICKETS in advance of the show. Visit http://bit.ly/2nWIYFH to get your free tickets now. You can see our permanent stand all year round at the nSBRC, however during the show you get to meet the team that know the products best. Take this opportunity to see our rooflights up close, and learn a little more from the team. Take a look at this video giving you a little insight into why it’s worth attending the show if you’re considering a self-build or renovation project. It’s a show with a lot more focus than most and you’ll find experts on hand for every aspect of your project. Featuring 67000 sq ft of exhibitors, products, ideas and demonstrations, The National Self Build & Renovation Centre is the only permanent, purpose-built space of its type in Europe. There is so much to see at the show we highly recommend taking a visit if self-building, home improvement or renovation is your passion.